Which matching children’s desk chairs are there from moll? The moll children’s desk offers your child many development opportunities. 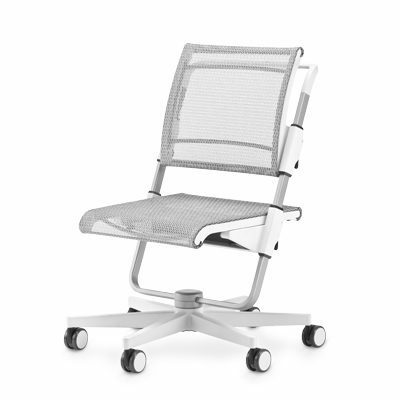 At the same time, it forms the basis for efficient and, above all, ergonomic learning. The moll children’s desk is perfectly complemented by the choice of the right children’s swivel chair. Children sit far too much today, the experts agree. They spend a large part of their school time sitting and waiting at home for their homework. An ergonomic children’s desk chair is perfect for your child only if it can be adjusted in all directions or dimensions, as it adapts to and grows with the changing needs of your child, such as the moll children’s desk chair. The first setting is the correct seat height. This depends in particular on the height of your child but also on his proportions. 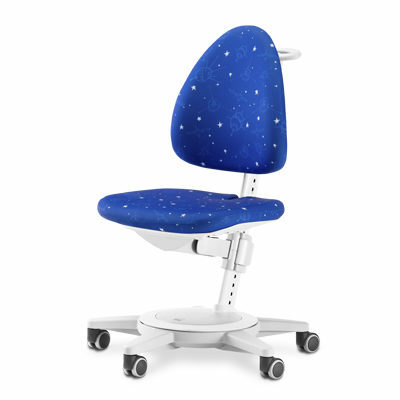 With our guide you can set the moll child desk chair perfect for your child. First of all, select the chair height so that the front edge of the seat is approximately at the height of the lower kneecap point. The seat height is correct when the angle between thigh and torso is slightly open (greater than 90 °) and the feet are lying flat on the ground, so have full contact with the ground. Now follows the adjustment of the seat depth. The thighs must rest over a large area and the seat front edge must not press. The distance between the front edge of the chair and the lower leg of your child should therefore be about as large as four fingers wide. In this way the legs stay well supplied with blood. In the third step, the adjustment of the backrests and their height is made. This is chosen so that the back supports the body to just below the shoulder blades. This adjustment relieves the back and additionally ensures that the back area finds sufficient support when leaning back over its entire length. As important as the ergonomics is the safety of a children’s desk chair. It is particularly dangerous when a chair can tip over. To avoid the danger of tipping, try the following test: Look down on the chair from above. Can you see the roles of the chair well? If so, then the base is big enough and a secure position of the chair is guaranteed. The chair Maximo von moll, for example, was awarded the test result very well by Öko-Test, because as a quality product it meets all the criteria that are placed on a health-promoting children’s desk chair for completing homework assignments. In addition, it is suitable for children from the age of five, as well as for young people. Incidentally, all moll children’s chairs grow into adulthood, as the chairs are designed for a height of 1.10 m to 2.00 m.
The chair height is chosen so that the front edge of the seat is approximately at the height of the lower kneecap point. The seat height is correct when the angle between thigh and torso is slightly open (greater than 90 °) and the feet have full ground contact. The seat depth is adjusted so that the thighs lie over a large area and does not press the front edge of the seat. The distance between the front edge of the chair and the lower leg should therefore be about as large as the width of four fingers. So the legs stay well supplied with blood. In the third step follows the adjustment of the backrest height. This is chosen so that the back supports the body to below the shoulder blades. This relieves strain on the back and ensures that it retains sufficient support when leaning back over its entire length.